For many people, the holiday season is a joyful time filled with rituals and festivities. 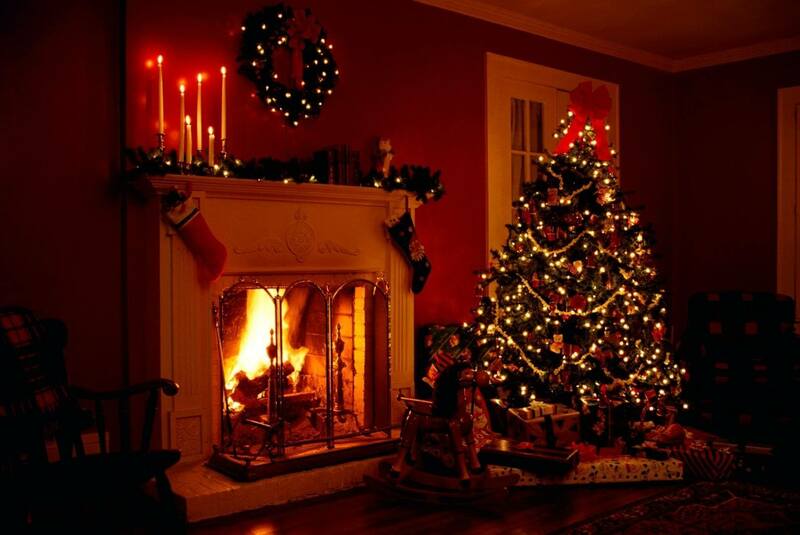 Part of the yearly family tradition for some families is decorating their homes with Christmas trees, lights and candles. Part of the pleasure of the season is pulling out boxes filled with ornaments and creating a sparkling winter wonderland. Like many situations that present a double-edged sword, it is difficult to grasp the thought that magical lights and decorations can also present a serious and even life-threatening danger. While we enjoy the holiday season and set the stage for merriment, some cautionary notes are critical to remember. Choose a tree with fresh, green needles that do not fall off when touched.Before placing the tree in the stand, cut 2″ from the base of the trunk. Despite these efforts, fires can still occur during the holiday season. The impact can be doubly devastating when this time of year is supposed to be so bright. If you need help with fire damage restoration Bentonville, AR, contact NWA Restore It, Inc. today. One of the nastiest disasters that can occur in a building is sewage backup during a heavy rainstorm or flooding incident. The pathogens contained in raw sewage can cause serious diseases, and of course, your home’s wall-to-wall carpeting will absorb the disgusting moisture from sewage. The uppermost fibers of carpets have a layer of waste, and the substances soak through to the carpet’s backing and floor tiles. As soon as possible after a sewage overflow occurs, you need an affordable carpet cleaning Bentonville, AR, team. If the thought of having filthy sewage on your home’s carpets is scary, then consider the odor that will emanate from the fibers to create a smelly environment. The substances that flow through sewer lines are considered the highest level of hazardous waste and will require a specialized cleanup from experts. Also known as black water, it contains bacteria, viruses and parasites that can make people and animals sick. Unless a home’s carpets are sanitized completely, remnants can remain on fibers. To remove sewage moisture and odors, a team of experts must use industrial-strength extraction machines. Nearly 40,000 sewer line overflow events happen each year throughout the United States with approximately 25% of those events caused by excess rainfall. Another major reason for sewage overflow into a home is from a power outage. Whatever the reason for sewage contamination inside a home, you need to have the substances removed from the property right away. To prevent a gastrointestinal illness from infectious sewer overflow, you need the affordable carpet cleaning Bentonville, AR, team from NWA Restore It, Inc.. This is not the time to suction filth from your home’s carpets with a household cleaning device because it will not remove all of the debris. We arrive in less than an hour with heavy-duty equipment to perform a sewage cleanup. When electricity in a home is turned off, we can use the power from the generators on our service vans. To prevent additional contamination, we suction the hazardous waste into containers for disposal at an off-site location. Call NWA Restore It, Inc. today! Most people don’t understand how dangerous mold is because they don’t know there are different species. Although most varieties of mold will only cause mild allergic reactions or respiratory symptoms, Aspergillus fumigatus is an exception. This mold can cause external lesions on the human body or infections of the ear and is also difficult to eliminate. Known as aspergillosis, this infection typically causes severe respiratory problems by growing inside the sinus cavities. Anyone with an infection might experience breathing difficulties, coughing or intermittent fever that they will assume is caused by the common cold rather than an infection from mold. NWA Restore It, Inc. offers the best mold remediation Bentonville, AR, services because we know that infection from Aspergillus fumigatus is especially dangerous for individuals with cystic fibrosis or asthma and can lead to severe consequences, including hospitalization. Someone with an immunity condition or undergoing chemotherapy is at more risk of developing an infection from this mold. Two serious conditions can occur when someone has frequent exposure to Aspergillus fumigatus mold, and these are developing a fungal ball inside the lungs or the fungus growing throughout the body, including the brain. There are cases of entire families living in mold-infested homes having myriad symptoms that made it difficult for physicians to diagnose the problem because aspergillosis is complex. When physicians make a diagnosis of aspergillosis, the person cannot remain in the home because of the dangers to their health. Fortunately, there are ways for experts to remove dangerous mold from a house to make it habitable for a family again. As we approach the holiday season, many of us look forward to preparing and sharing special meals with our families. As children return home with friends and visitors pass through a revolving door, it’s easy to feel distracted. You may run into the kitchen to warm up some hot apple cider for your guests and turn your head away from the flame when the phone rings repeatedly. In an instant, disaster can strike. A hungry flame can lap up a kitchen towel, which you left on the counter near the burner. As the fire grows in seconds, you may watch in terror as it races through your home. In 2013, Thanksgiving Day (November 28) was the leading date for home cooking fires with 1,550, 230% above the average number of fires per day. Stay in the home when cooking your turkey, and check on it frequently. Keep children away from the stove. The stove will be hot, and kids should stay 3 feet away. Make sure that children stay away from hot food and liquids. The steam or splash from vegetables, gravy or coffee could cause serious burns. Keep matches and utility lighters out of the reach of children—up high in a locked cabinet. To learn more about Thanksgiving fire safety, you can watch this NFPA video. NWA Restore It, Inc. has shared these tips with the hope of keeping your family safe during Thanksgiving—and each day of the year. Despite efforts to follow these precautions, you may find that you need help after an unexpected fire. In these frightening situations, you can call NWA Restore It, Inc. for reliable services and support 24/7.